As humans, or humanoids, we weren’t the only ones frazzled by the Hurricanes, Fires and Earthquakes and they need our support too. 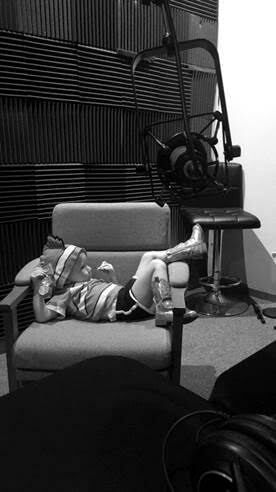 Our little pet animal friends pick up on the change in barometric pressure and the angst that we were going through! As a result of our last Hurricane, a new Florida initiative is going to be allow more pets in shelters! So for today’s feature, we’re including a link to the MyBeliefworks audio MP3 for Facilitating Pet/Animal Healing which will address emotional, mental & behaviorial issues and the bonds between us and our pet animal friends. You can also take advantage of a special 20% discount package which includes this 30 minute clearing audio PLUS get a 30 minute private session with me to work for/with your pet. Get the audio plus the session here. Please know that as I am pausing, I am fishing these out for YOU and downloading the highest and the best! I know when where, how and why to allow the ideal pet/animal to find me that is aligned with my life and lifestyle. 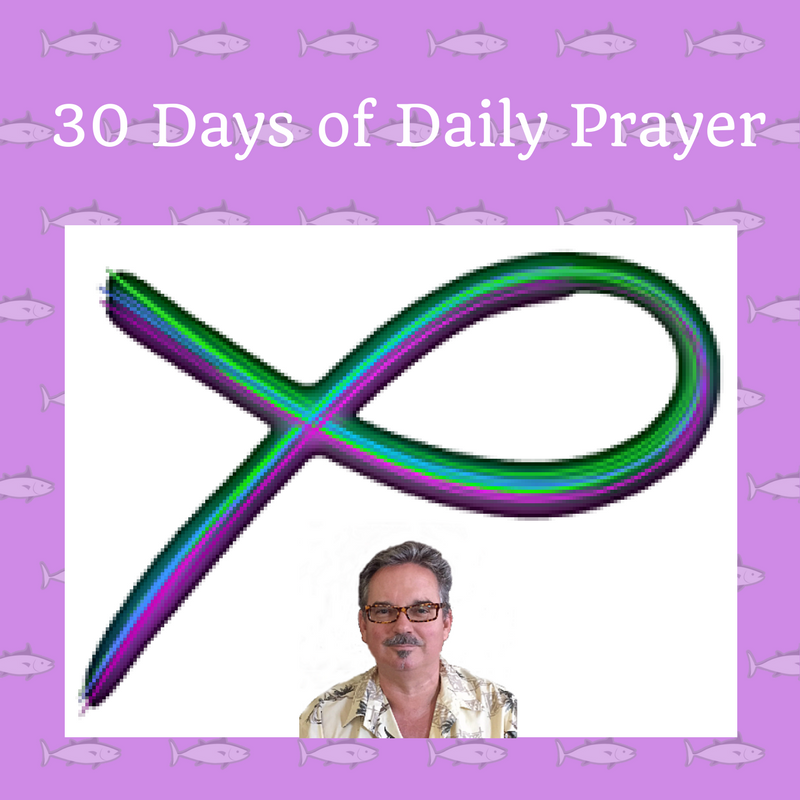 I have come to terms that my pet family member can take on my sickness, disease or disorder, so as I hear this now I am releasing them from the stress that I might create and in so doing I am releasing it from myself. I will be shown when to take my loved one to the vet, when to ride it out, and when to use natural products, supplements, herbs and holistic healing to best support my little friend. I know when to pull back from prolonging life suffering, and when and how best to say my goodbyes and put my friend down so that they may rise again to become one with the animal kingdom. I process the highest and best relationship with my pet/animal friend, fostered with unconditional love and understanding in all languages & across all timelines and so it. "Jimmy, I’m delighted to read your newsletter today … your video is wild! I daresay your presence and your prayers at the eye of all that Mother Earth activity softened the blow for so many souls. Thank you for being you! What is built on truth in love will stand as the tide rises within us. I’m so glad to be on this journey with you, brother. May we walk on courageously, creatively with ease & grace." "Hi Jimmy. Wasn’t going to bother you with this but after reading this email thought it would amuse you. The night before the hurricane was about to hit every few hours I’d fish people and animals safe / Jimmy and family safe / damage is reduced to a minimum/ etc. It all was going g well except for the request that the storm swing to Sea and each time I’d fish it to yes but within a few hours it was back to no. Well it was almost midnight my time and I wondered what to do. Then I heard what sounded like your voice in the back of my head. Try, "then a miracle happened". That fished to yes very easily and I went to bed. In the morning I saw it had dropped severity and started to laugh. Were you sending out instructions ?? Sounded like it! I won’t admit in public to hearing voices but they are getting clearer and you sound as busy on inner planes as in physical it seems!!! Take care!! And you are right the only time normal means anything these days is as a tumble dryer setting!!" "Today I will remember that there are people in this world a lot worse off than me. There are a great number of people who have sacrificed a great deal for me and our country. The tiny efforts I put out pale in comparison to some of the sacrifices others have made. I will reflect on this and persevere and help those by contributing to those less fortunate than myself." 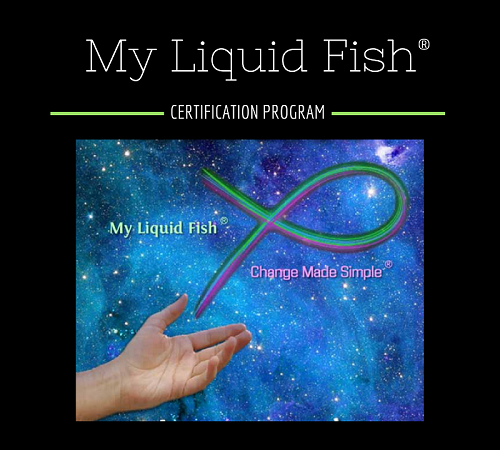 The Certificate of Mastery Program for My Liquid Fish® Change Made Simple® is open for anyone to join at any time! This is a work-at-your-own-pace course that will allow you to go deeper into learning and practicing your "fishing" technique so you will become a master fisherman and see even better results! 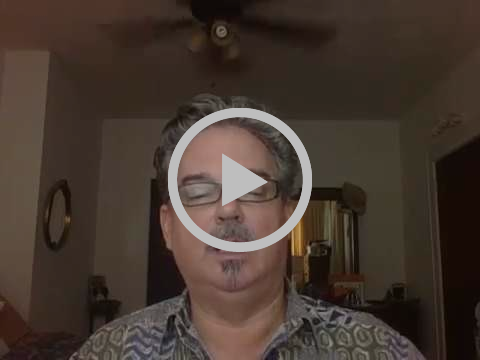 You and I will work together on the phone prior to your pass your Mastery Certification test. "My Liquid Fish Certification program was an amazing journey and experience. It opens the door to three levels; physical, mental and spiritual, of healing, expansion and transformation!! Learning with Jimmy Mack is both fun, energizing and informative. He takes me to new realms of possibilities where transformation is instantaneous. I got relief from my back pain: which occurred after lifting some heavy boxes, instantly!! I know for certain that My Liquid Fish will be the tool everybody wants to use in the near future." Yes thankful to be alive and overall minimal damage to me, my home and kitty cat. And thanks to all of you who called, emailed, Skyped and texted to check on me and Granny Ruth and Kit Kat the kitty cat. Wowzah. Ok, a little soul searching and come to Jesus meeting with myself here. I really worked/fished/played HARD and enlisted others to help/contribute to divert Irma (my sweet grandmother’s name who loved Jimmy Mack) away from Florida. Now more than ever I believe the meteorologist can only show you what HAS happened because no doctor, lawyer or indian chief is allowed a “250 mile cone of error” with their practice! But I was certain we could swing this thing due East and in the end, it did go far enough due East AND slow down enough to not annihilate our town. Dropping from an initial CAT 5 down to a 1 by the time it hit us, was miraculous. When you’re dealing with a storm twice the size of our state there was no completely missing this one. Three hurricanes were around us at one time, while fires burned in the West and yes there were tornadoes AND an Earthquake. I only wish that our president and the governor of Florida were tied in a chair and forced to watch Al Gore’s "An Inconvenient Truth: The Sequel". No matter what your political beliefs, the earth is warming, things are changing and there is global warming. It took Duke Energy two days to restore our power and we’re in a downtown city with minimal damage. Those of you who know me, know that my idea of “roughing it” is overlooking nature and the mountains from my hotel suite during room service. So no electric or hot water or ice was ugh…. Never before have we needed more solar and wind initiatives to create energy and come to realize that we have to make peace with Mother Earth! So thanks everyone for real. I want you to know that I am back on line, phone, text, email, Skype, Facebook whatever……..reach out just to say hey and know that I am here for you when YOU are in need of some uplifting words and healing frequencies to create and sustain profound changes for you! I have included a video from my home after the power was out. As one of my granddaughters would say, “I love going to Grampa’s house, cuz there’s soooo many ghosties there.” All of the fans were still on low as was the cable box, the blue light on an ionizer machine, a blue nightlight in my bathroom, the bathroom overhead light itself and every salt rock in the place – oh and even the unplugged ones. So go ahead and explain that one to me. Paranormal? Yep. In a great way. Just such great signs from spirit that we will we will GUIDE YOU! One Love. or hard right of Florida! We want it to dissipate out into the water with the least amount damage! Let’s use our strength in numbers… thank you all!